Orders start with an e-mail inquiry asking for a quote for a small order followed by a subsequent request for a larger order. The order designates a Ship To address that is not a UCSC facility or indicates the product will be picked up at the supplier’s premises. Invalid contact information, such as email addresses using deceptive extensions; e.g. @ucsantascruz.com or @ucsc.mygbiz.com. The message may include an attachment that is designed to look like a purchase order, and may include a logo or other graphic, or a signature. Please note that the university’s internet address is www.ucsc.edu and it is not our practice to ask our suppliers to ship to addresses that are not UCSC campus facilities. It is also not our practice to place orders for merchandise that will be picked up at supplier premises. They list the address of UC Office of the President in Oakland, which is not a UCSC address. They include the title of Procurement Chancellor, which is a fictitious position. If you believe you have received a fraudulent order or quotation request you may forward it to UCSC Procurement Services at buy4me@ucsc.edu to verify the communication’s legitimacy before responding. You may also contact the Procurement Services department by telephone at: 831-459-2311. PSCS is implementing a new ATF Justification for Unauthorized Purchases process, effective November 1, 2018, which employees of the University who request goods and services need to make themselves aware of. An ATF purchase order occurs when a University employee places an order with a supplier without first completing a CruzBuy requisition and establishing a Purchase Order. ATFs can create significant problems for the University. In many cases, the ATFs result in higher costs for goods and services than might have been paid through standard purchasing methods or by utilizing contracted suppliers. Historically, ATF purchases result in supplier purchase agreements with unfavorable terms and conditions, violate the University’s purchasing policies, place the University at risk financially, and create additional, often unnecessary, work for administrative support staff. ATFs will NOT be processed and approved by PSCS through CruzBuy after November 1, 2018 without an ATF Justification form completed and attached. Costco will not accept our POs as of October 19, 2018. We encourage your department to consider other suppliers such as Safeway in West Santa Cruz. Another option is our new Corporate Travel and Entertainment (CTE) card program. If you are interested in finding out more about the card, please contact Ivan Ditmars in Financial Affairs. Uniform Guidance (UG) is the set of rules and regulations that governs the administration of federally funded projects during their lifespan. The bulk of Uniform Guidance went into effect on December 26, 2014, but much of the guidelines that impact University Procurement Services were delayed. To be compliant with UG standards, PSCS has implemented these guidelines effective July 1, 2018. This implementation is a requirement for UCSC to remain eligible to receive federal funds. If you are involved in the purchase of goods and services for sponsored projects, please review the recently posted guidelines on Uniform Guidance. The UCOP Source Selection & Price Reasonableness Justification Form is to be completed by the requesting Department and attached to the CruzBuy requisition for all federally funded purchases greater than or equal to $10,000. Our current fiscal year, FY18, will end on June 30, 2018. As we near this closing date, it is important for Divisions/Units/Departments to review purchasing requirements and budgets. You will need to be aware of deadlines which must be followed to ensure transactions are processed correctly and in time to meet fiscal year-end requirements. A detailed calendar of closing events is posted on the Financial Affairs website. Please take the time to review the Fiscal Close 2017-2018 Schedule. We are pleased to announce that Copier, Mail and Receiving Services (CMRS) has joined Financial Affairs as of 11/1/17. You can find more detail on these changes and help us welcome CMRS here. A new edition of the Procurement Services Newsletter is now available. Click here to view the newsletter. Our current fiscal year, FY17, will end on June 30, 2017. As we near this closing date, it is important for Divisions/Units/Departments to review purchasing requirements and budgets. You will need to be aware of deadlines which must be followed to ensure transactions are processed correctly and in time to meet fiscal year-end requirements. A detailed calendar of closing events is posted on the Financial Affairs website. Please take the time to review the Fiscal Close 2016-2017 Schedule. FIS Banner will be unavailable from noon, Monday, 8/8, through 7am, Tuesday, 8/9, while the annual Budget Roll processes are performed. CruzBuy will be available but any order submitted during this time will not process until the budget roll is completed. ERFs are no longer required for meal-related purchases made solely through CruzBuy. More detail on changes to the entertainment reporting process can be found here. For questions, contact entertainmenthelp@ucsc.edu. Our current fiscal year, FY16, will end on June 30, 2016. As we near this closing date, it is important for Divisions/Units/Departments to review purchasing requirements and budgets. You will need to be aware of deadlines which must be followed to ensure transactions are processed correctly and in time to meet fiscal year-end requirements. A detailed calendar of closing events is posted on the Financial Affairs website. Please take the time to review the Fiscal Close 2015-2016 Schedule. Procurement Services has implemented the new UC Fair Wage Fair Work Plan, which went into effect October 1, 2015. As background on this new policy, on June 22, 2015, President Janet Napolitano announced that minimum wages for its workers will be raised to $15 an hour over the next three years. This minimum wage requirement applies to both direct and service contract employees, requiring that they pay their employees a wage that meets or exceeds UC’s new minimum wage when hired to perform services on our campus. Click here to learn more. Introducing a new National Gift Card (NGC) catalog for the purchase of Gift cards used as non-cash employee awards or non-cash gifts to non-employees. This catalog within CruzBuy allows for gift cards to be purchased and sent directly to the requester, with e-invoicing from NGC to settle the payment. This meets Procurement Services continuing efforts to identify opportunity for streamlining of order processing while meeting minimum policy requirements, generating cost saving, and insuring minimum risk to the university. Click here to learn more. While best practice would be to have a quote on every order, we understand it’s not always practical or efficient on low value purchase orders. Backing up your purchase requisition with pricing information such as a quote, email with pricing, or screenshot of website pricing would support and assist if any transactional issues were to arise with invoicing, or a dispute at a later date around the original terms of the order. Click here to learn more.  University of CA - Santa Cruz will delay implementation of the new federal procurement rules found at 2 CFR Part 200, beginning with section 200.317, until July 1, 2016. Procurement Services will continue to follow the federal procurement rules found in Office of Management and Budget (OMB) Circular A-110. This deferment is authorized in Section 110-6 of the Frequently Asked Questions released by OMB and the Council on Financial Assistance Reform (COFAR) on August 29, 2014. For more information see Uniform Guidance. The Fisher First program makes Fisher Scientific the flagship distributor for Life and Science chemicals, consumables, equipment, and laboratory supplies for the UC System. The agreement, based on the combined spending power of the 10 UC campuses, is expected to generate benefits greater than $10M in the first year alone. In addition, Fisher was awarded exclusive distribution for Corning brand C-contract items. Click here to learn more. The 15.1 Upgrade, available in CruzBuy on Monday, 3/30, includes two new features: Dashboards / Widgets, and Favorites folder search functionality. Click on the links below to learn more about these new features.